Benefit. 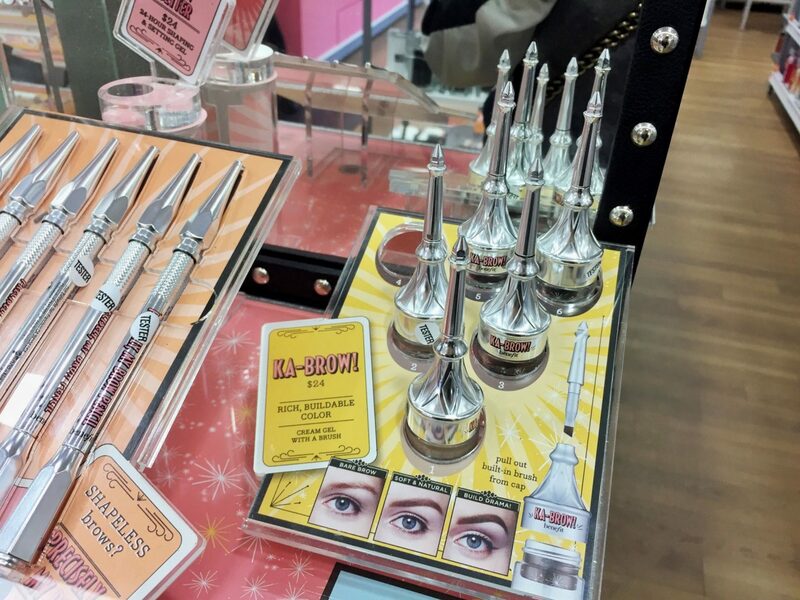 Magically Transform Your Brows! I know you all are awaiting NYFW posts, but alas it’ll take a while to put together the content, so be patient with me! So for today’s post, I just wanted to share something I stumbled upon while preparing for NYFW. Last Thursday, I shared the beauty essential you’ll need for NYFW! However, one day while prepping for NYFW, I found something missing from my make up bag! That was my brow pencil from Anastasia! I have no idea how I misplaced it, but I knew I had to get a new brow pencil quick! Because ya know, bold brows to make a statement for NYFW looks. Duh! I have used Benefit in the past, my favorite products of theirs is their lip stain and their matte bronzer for contouring. I’ve also used their “They’re Real” masacara and quite enjoyed it. 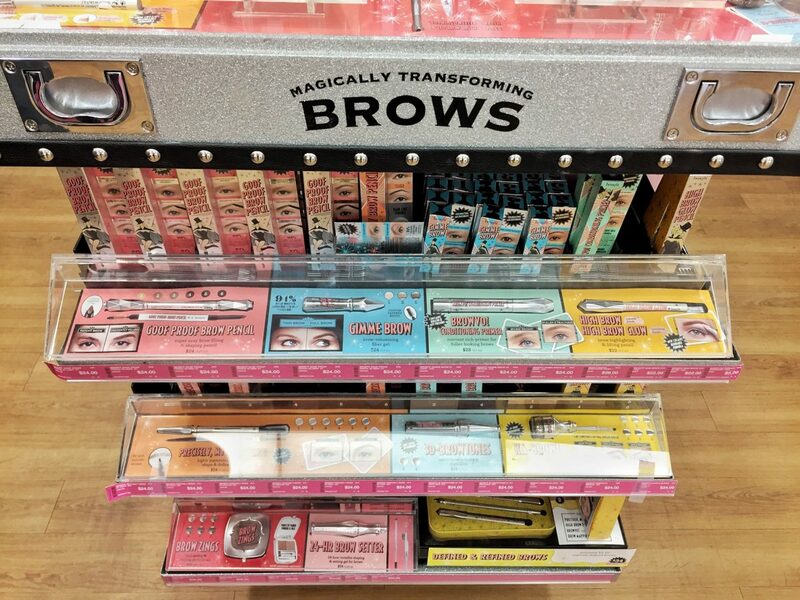 However, this was the first time I reached for their brow products and they advertised it as “Magically Transforms Your Brows”! So I knew I had to give it a try! Their line of brow products are oh so abundant! You can find your cup of tea no matter what type of brow products you like! From brow highlighters, brow pencils of all shapes, brow powder, 3d brow gels, fiber brow gels and more! You can take a look at the whole list here. My favorite pick is their ka-Brow! Cream Gel Eyebrow Color! I love the packaging and the fact that it conveniently comes with a nice sturdy brush! It’s a good pick for NYFW because the ability to make for a bold look is much better than a standard pencil! Think Anastasia’s Dipbrow Pomade, but easier to maneuver and comes with a brush! I also love the fact that it comes in 6 different shades! I am definitely agreeing with their slogan, “magically transform your brows”. I love and adore so many of their products! And what’s better? Their products is on sale at Ulta during their 21 Days of Beauty event! On Saturday 9/23 their ka-Brow! Cream Gel Eyebrow Color will go on sale for only $12! So if you’re interested in it, definitely wait to grab it on 9/23! Ulta’s 21 Days of Beauty event is probably the biggest beauty event of the year! They feature different items on sale each day! You can view the event calendar here and see if any of your beauty favorites are on the list! Each special deal of the day ships FREE! So definitely check out the calendar and mark your calendar if there’s anything you like! If you need inspiration on what new beauty product to try, view my list of favorites here! I hope you enjoyed this and let us carry on with our #eyebrowsonfleek! Write back and let me know what brow product you use! I’d love to know and perhaps try something new! Previous Post NYFW 9/17 Outfit Planning Tips! I love the Benefit brow products and I use them all the time! Wow these products look so neat and fun to use!! Ive been wanting to try benefit eyebrow but quite pricey. I have not used any product for my brows specifically. But this sounds good, gonna check it out this weekend. Nice post! Very informative. I love Ulta! Nice post! 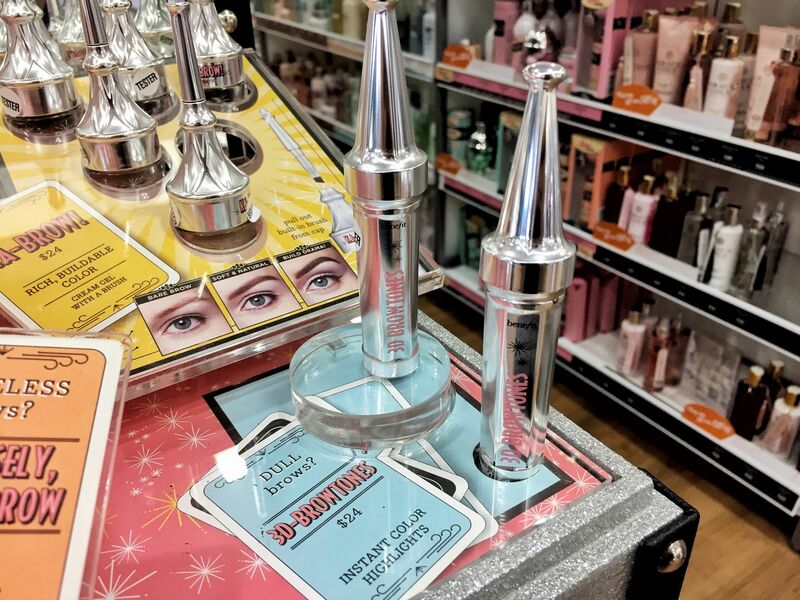 Thanks for sharing about Benefit brow products! My family calls me fun sized. LOL. This product looks great. I will recommend it to my daughter who is a makeup lover. I love makeup too but I never do my own eyebrows. I will let her do them for me. Thanks for letting me know where to find it too. We’ll be visiting Ulta soon. I absolutely love the Benefit brow line. Right now I am using their Gimme Brow. If there was an Ulta over here in Spain, I’d be there taking advantage of this! But there’s not. I’ve heard nothing but good things about Benefit in general, so I’m sure this is a wonderful product! I have to admit I’ve not tried any of Benefits brow products but mine are such a nightmare I really should as I am sure they would look better with some help. This look great! Thanks for sharing, babe! I need to try this out. My brows need some help. They’re pretty bushy at the moment! I’ve never really been one to focus so much on my brows as I do my eyes but I’m gonna have to try some of this stuff out. I’m terrible at shaping so maybe this will help out. I’ve actually never heard of Benefit or Anastasia before! I don’t wear wear too much makeup, and my brows are not really on my list. But now I’m interested to see what this product will look like on me…I’ll have to go check it out! Great post! I really don’t use makeup as I go for the natural look. However, when I go to parties I may wear makeup, so I will keep your review/ Ulta in mind. This is a magical product. A good way to have the perfect brows. Thank you for sharing this amazing product. The very first brow makeup that I ever tried was made by Benefit!! As a matter of fact, I still use it to this day!! Right now my go-to brow product is Anastasia, but Benefit products are much easier for me to access so I will definitely have to check this out as the product composition looks similar! Oh wow! I’m so glad I found this post. I currently use a brown/black pencil and eyebrow brush, but I’m ready to up my brow game and try new products. This is a fun and useful post. My daughter is great with her eyebrows too. I haven’t mastered it, for sure. I’m indeed amazed by the abundance of products they have. All of them look and sound fantastic so I guess I should give each of them a try. Thanks for your list! I have been using brow products by Benefit for almost four years now, and I LOVE them. I love the pencil, but haven’t bought the newer version of it yet. 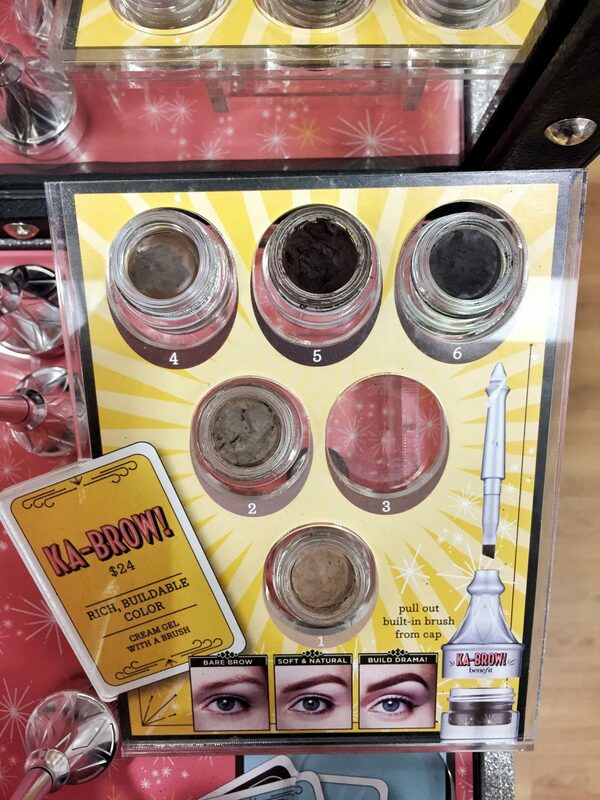 Like how they have a variety of brow products to choose from. Also the idea of combining two products for your brow was great, totally love the outcome. Seems Benefit products are really good.It is good to use such products to make eyes look beautiful.Specially,the eyebrows! I really love the unique shape of their bottles (would that be the right word?). I don’t normally use Benefit myself, but these look really good! I loved reading this post! I’m passionate about brows as well! I use the brow powder by Anastasia and it is amazing!! I find this whole brow conturing trend really funny. I have naturally thick brows, so conturing or filling them makes me look hilarious. But I do understand that there are people that have gaps in their eyebrows or due to medical treatment they don’t have any at all. Even when I don’t wear makeup, I make sure to groom my brows! So obsessed! I can’t wait to try these products! I’ve seen the Benefit brow products at the store but never thought about trying them until now because I rarely see a cosmetic product have dark enough shades for my brows. In desperate need of new eyebrow products! I’ve heard great things about this brand. I’ll have to try! My wife is so big into eyebrows right now. I need to show her this blog. She would flip sideways 🙂 She would love all of this.